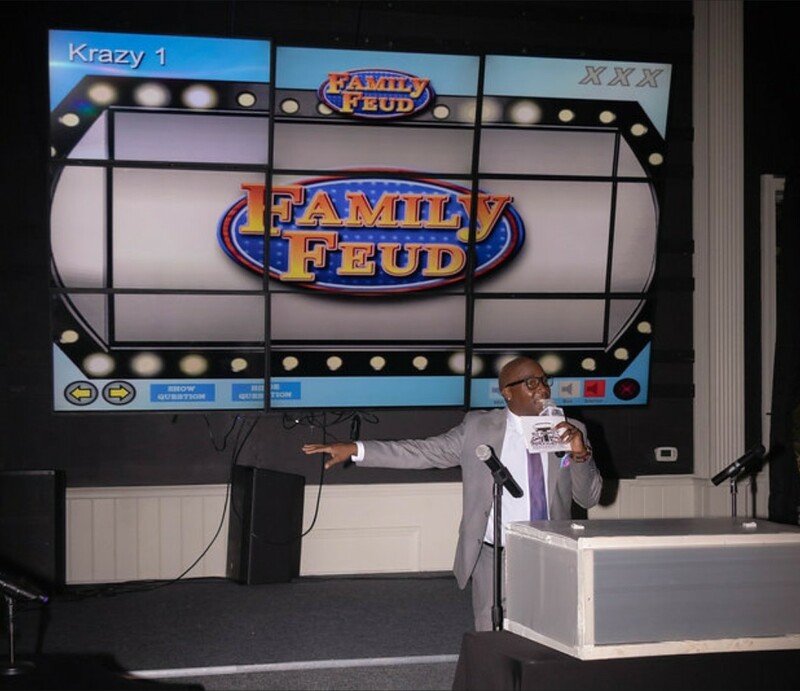 Allow Krazy T Entertainment service to bring the game show studio to you. Expirence the Family Feud game show with your co workers, family and friends. This isn't just any board game this is the full game show expirence. You can play tournament style with upto 32 teams and you can also have your game show questions customized to your company, family or topic. Make it fun have your teams wear matching colors or team T-shirts. So if your in the Charlotte area let us bring the family feud to you.